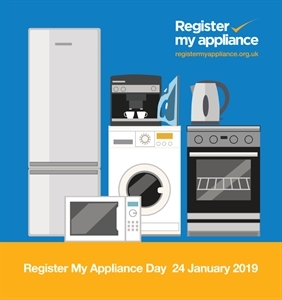 The Association of Manufacturers of Domestic Applicances (AMDEA) has designated 24 January as Register My Appliance Day in a bid to encourage consumers to register their domestic appliances. Currently fewer than one third of consumers register their major domestic appliances. This can have negative consequences should something go wrong within the guarantee period.